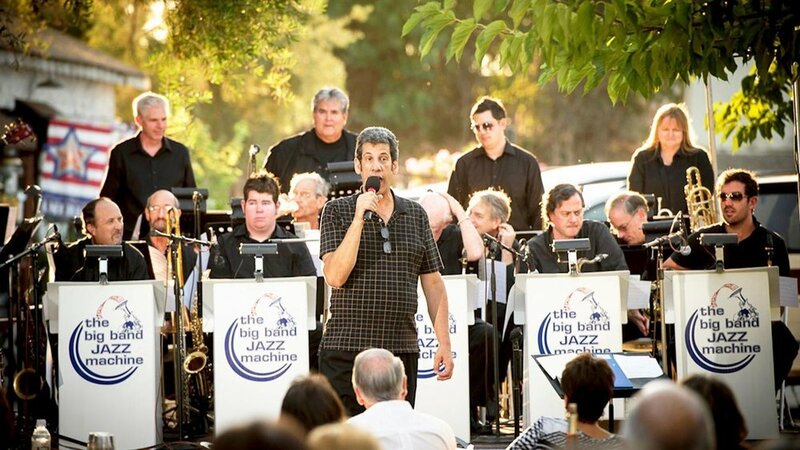 A popular summer tradition is returning for another year as the Ira B. Liss Big Band Jazz Machine performs Aug. 27 at the Bernardo Winery, 13330 Paseo Del Verano Norte in Rancho Bernardo. The concert has sold out annually for the past six years, so tickets should be purchased early. Tickets are $25 general admission. A $160 jazz, wine and cheese package is available for four people. All tickets are available at bit.ly/2tHp5HO. The package deal includes a reserved table for four, a cheese platter for four and a glass of wine off the winery’s bar list. The band has been performing one show per summer at the winery for the past 15 years, said Liss, the band’s founder and bandleader. As has been the group’s tradition for the past nine years, a special guest artist will join the band for the performance. In years past, the guests have included big names in music like Holly Hofmann, Gilbert Castellanos, Barbara Morrison and Eric Marienthal. Liss said the guest artists allow them to show off the different kind of people who perform jazz and how they can perform with a big band group. Liss said that his group and Slim Man will be using the same arrangements as used by Sinatra and other Rat Pack musicians. The songs they will perform at the concert will all be from the Great American Songbook and will include duets between Slim Man and the group’s regular female vocalist, Janet Hammer, he said. More than just Glenn Miller and Tommy Dorsey, Liss said that the band’s music is very diverse and includes both traditional big band music and modern arrangements.